Sqlmap is arguably the most popular tool for exploitation of sql injection vulnerability and database takeover. It is completely automated and customization depending upon the server or database configurations. This tool provides wide ranges of flags which can be used to trigger an attack in an effective manner. It is completely open-source in terms of license. Its written in python. Now as I am going to discuss more and more about sqlmap it’s usage and tutorials in my forthcoming blogs so we need to know how to install and start sqlmap for further uses. If you use Kali, Backtrack or any such VM then it comes as a package. This post is a brief guide to setup and run sqlmap on windows. I am installing on Windows 10 machines but it works fine on any windows flavor, we just need python to support it. As this tool is written in python, the first thing we need is the python interpreter. Please Download the python interpreter from python.org. There are two series of python, 2.7.x and 3.6.x. Sqlmap should run fine with both. Please note there may be some OS dependency for the versions of Python so do check before you download it. 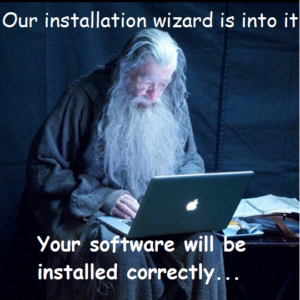 So download and install. As you can see, I have installed the 2.7.x. Now please download the zip file from their website. Extract the zip files in any of your chosen directory. Launch the command prompt and navigate to the directory. Now run the sqlmap.py. Well ! Now don’t complain it was so much easy. 🙂 But as you have it up and running you can wait for the tutorials coming up next. Stay tuned. No need to set environment variable to run python from any path? I didn’t set it in my windows 10 machine. Earlier I used to do it while using XP. Try to run it directly, if it doesn’t work let me know. Strange ! Are you going to that folder where you have installed sqlmap. What error it shows ?